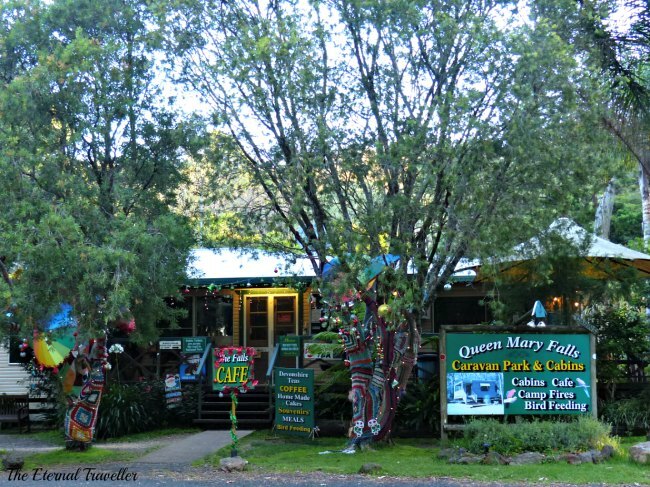 If dramatic mountain scenery, mild temperatures and tranquil surroundings are on your list of holiday necessities a weekend getaway at the campground at Queen Mary Falls, 11 km east of Killarney on the Queensland/New South Wales border, is the perfect destination. 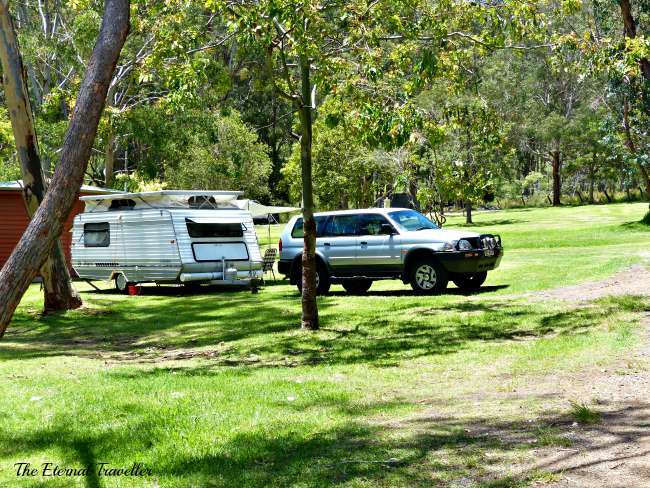 The campsites and cabins are surrounded by beautiful bushland and rich pastures and the peace is broken only by birdcalls and the gentle sound of contented cows. In front of the campground is The Falls Café where cakes and Devonshire teas are served on the shaded deck. 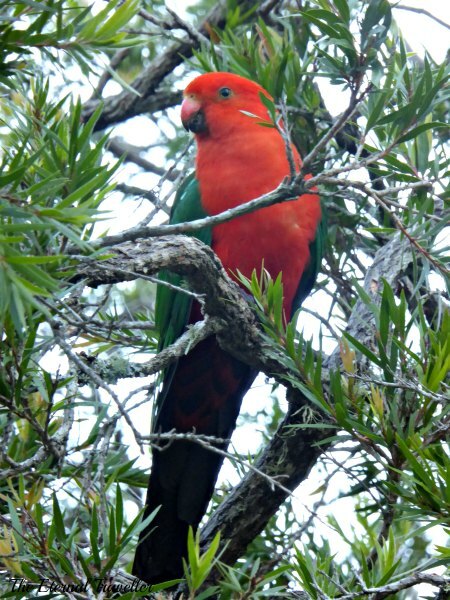 They also sell seed for the native birds which gather noisily on the front lawn in the late afternoon. Signs at Browns Picnic Area, across the road from the café, mark the start of two walking tracks to the falls. 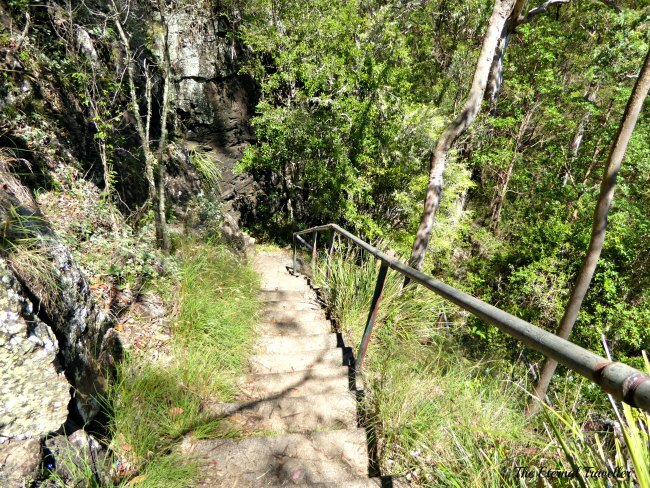 The 570 metre cliff circuit skirts around the top of Cambanoora Gorge to a lookout at the top of the falls. 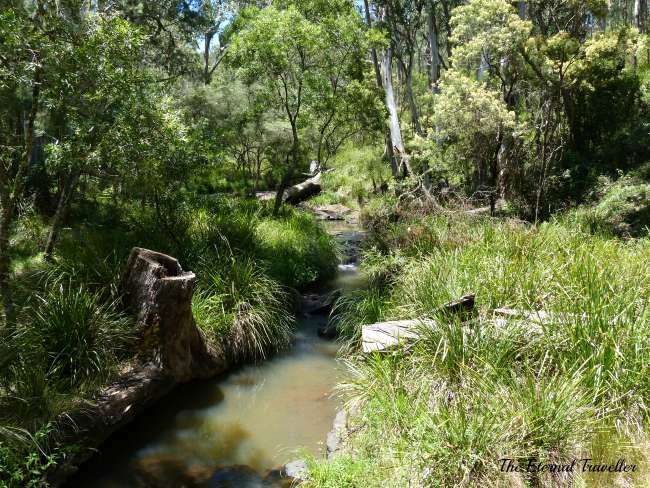 Here, shaded by the surrounding eucalypt forest, Spring Creek bubbles gently round boulders worn smooth by the water, before plunging 15 metres to the base of the cliff. 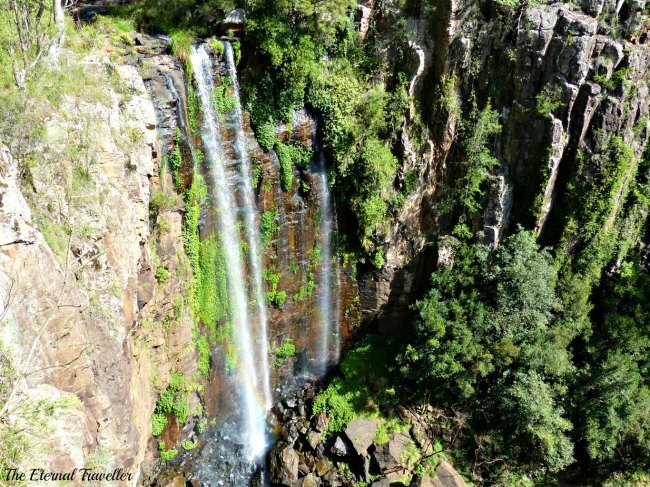 For a different perspective on the falls, the 2 km Queen Mary Falls circuit scales the steep sides of the gorge. The water splashes down from above, creating rainbows in the mist, before continuing on its way through the gorge. The massive pile of rubble at the base of the falls is evidence of a cliff collapse in the 1880s; one dramatic change in a 25 million year old landscape. 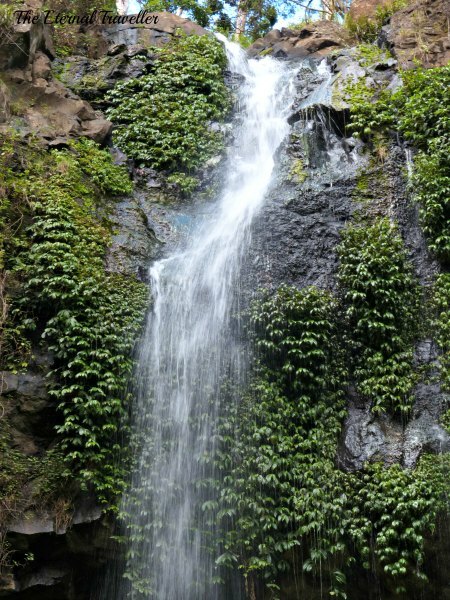 There are other waterfalls in this area which is part of the Main Range National Park and belongs to the World Heritage listed Gondwana Rainforests of Australia. 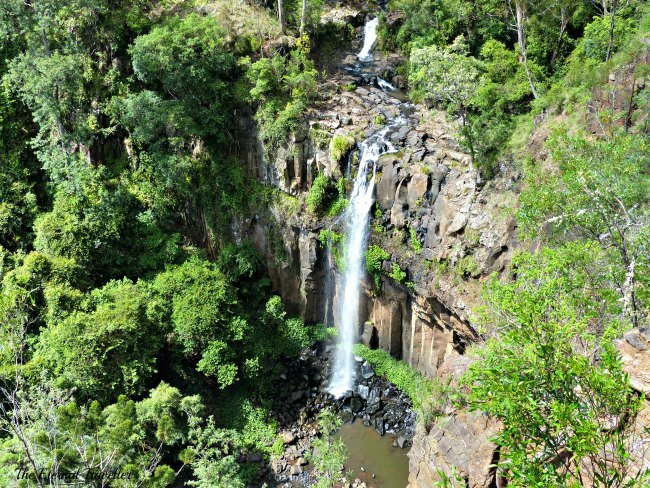 A 600 metre walking track leads to Brown’s Falls, a smaller plunge waterfall on the Condamine River. The track heads upstream in dappled shade, crossing the river on basalt flagstones, under fallen trees and over the rocks in front of the falls. 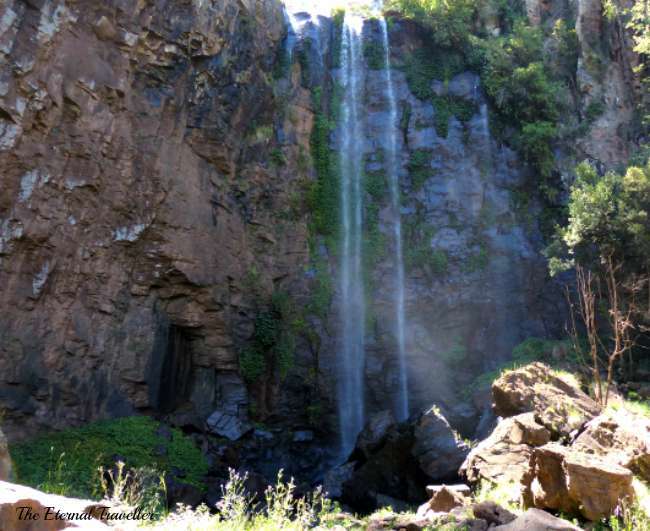 There’s no need to walk to Dagg’s Falls, a plunge waterfall on Teviot Brook. The lookout is right next to Spring Creek Road and the high rise view across the gorge to the edge of the McPherson Range is spectacular. 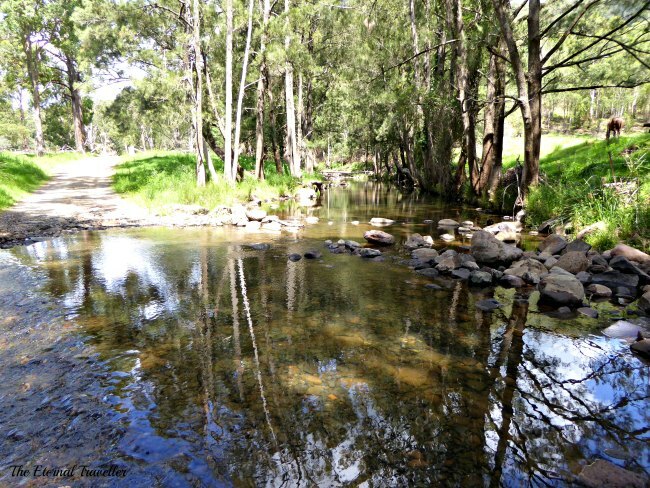 Teviot Brook and Spring Creek both flow into the Condamine River, part of the Murray-Darling river system. 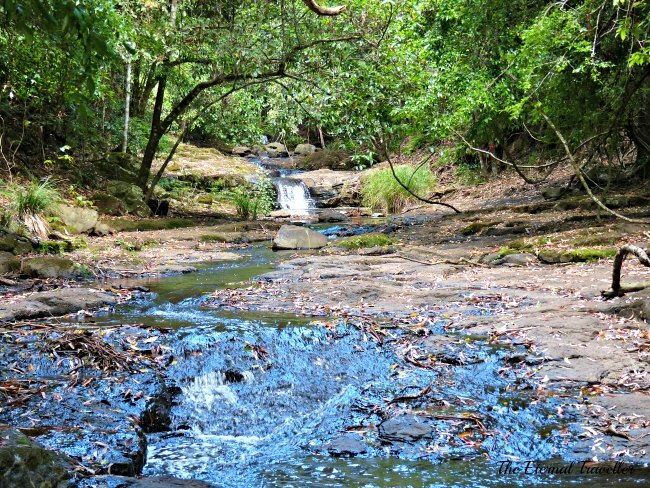 The Condamine has its headwaters in the ranges above the falls and flows through Cambanoora Gorge. 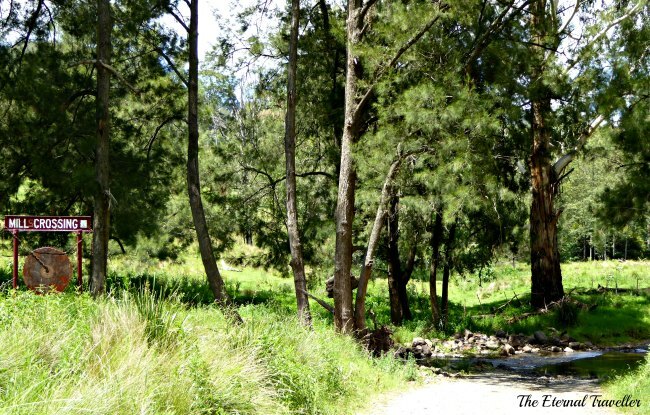 A four wheel drive track through lush farmland and native eucalypt forest crosses the river 14 times as it winds back and forth through the gorge. The track is rough and rocky and it can take more than an hour to traverse all the crossings. There may be wallabies on the creek banks and in the late afternoon platypus can sometimes be seen in the shaded water. At Queen Mary Falls there’s no need to rush. Take your time, go for a walk or two, enjoy the views and feed the birds. You might even stay for longer than a weekend. It is a lovely place to unwind. Beautiful place. The atmosphere must have been so fresh with all that water around. And because it is up in the mountains the temperatures are a few degrees lower than other places. It was gorgeous to visit here in the summer. Thanks. I’ve put the link in my comment on your latest post. I loved the stepping stones. They are wearing their woollies and their bling as well. It is a very pretty place to visit. I hadn’t noticed the yarn bombing! It was beautiful to wake up every morning to the birds. Let’s make a date for that! I love finding places like this. Apart from people who live in the district it’s not that well known. I must go back your photos remind me of its beauty. It’s definitely a place you could visit again and again. It is the perfect weekend getaway for us. I am. BTW a fly just flew by. What a lovely spot. Beautiful photos, too. Somewhere I can add to my bucket list.